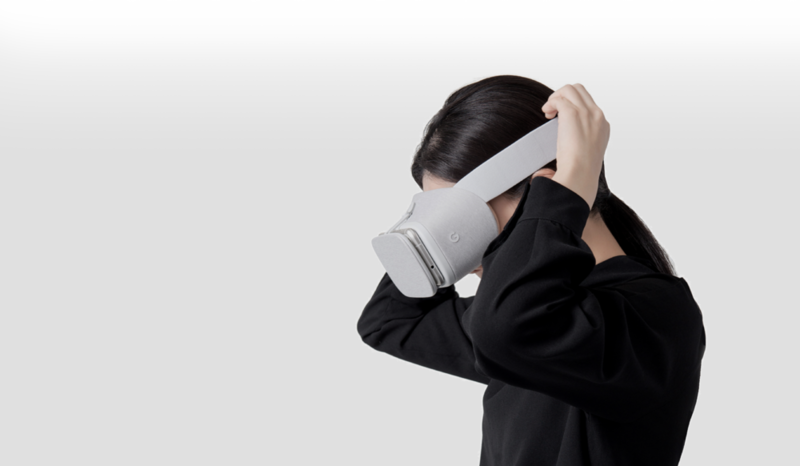 Brought onto the Google Virtual Reality team while it was still in incubation stage, my mission was to define a casual and comfortable design language for the debut of the Daydream brand. Daydream View evolves Google’s Cardboard virtual reality viewer - providing a more refined experience in a package as simple and approachable as its predecessor. Built light like a kite. I implemented a fabric device architecture that reduced weight while defining a distinctly soft and approachable aesthetic. The electronics and optics are secured by the rigid, plastic frame while the ergonomic form is composed of flexible polyester textile and polyurethane foam. The ergonomic design uses a head strap positioned higher around the forehead and and foam padding formed to lift weight off the nose and sinuses. This allows the users to easily slip the headset on, fasten the strap to their liking and enjoy a comfortable VR experience - all without messing up their hair.